Having been dropped from an altitude of 12,400 feet, Sierra Nevada Corp’s Dream Chaser lands at Edwards Air Force Base in California, as part of a successful free flight on Nov. 11, 2017. 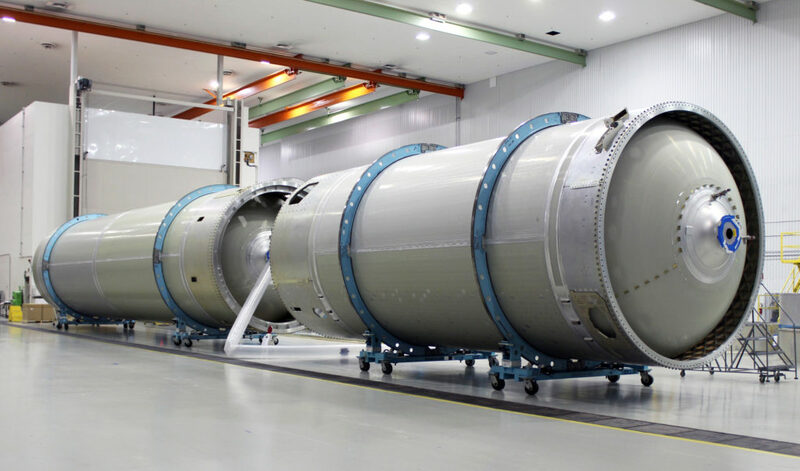 It was a crucial milestone to help finalize the design for the cargo version of the spacecraft for future resupply missions to the International Space Station. 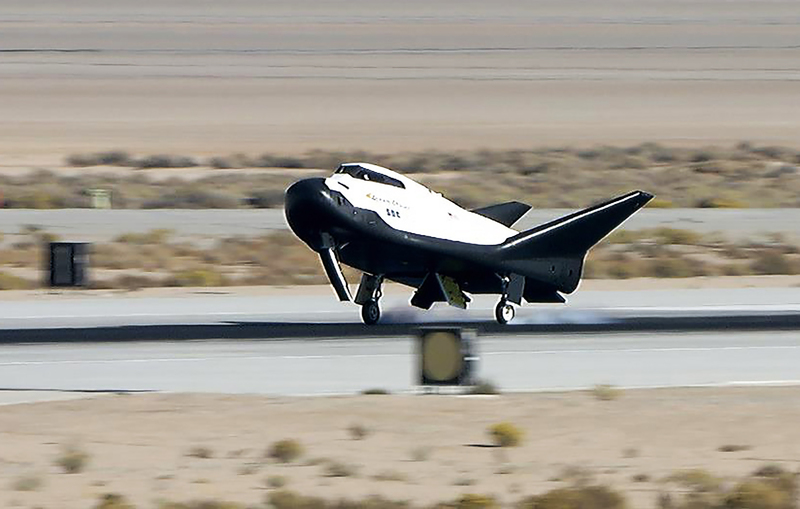 Sierra Nevada Corporation’s Dream Chaser spacecraft recently glided to a successful landing at NASA’s Armstrong Flight Research Center located on Edwards Air Force Base in California. Completion of Dream Chaser’s free flight test on Nov. 11, 2017, was a major milestone under a space act agreement with NASA’s Commercial Crew Program. 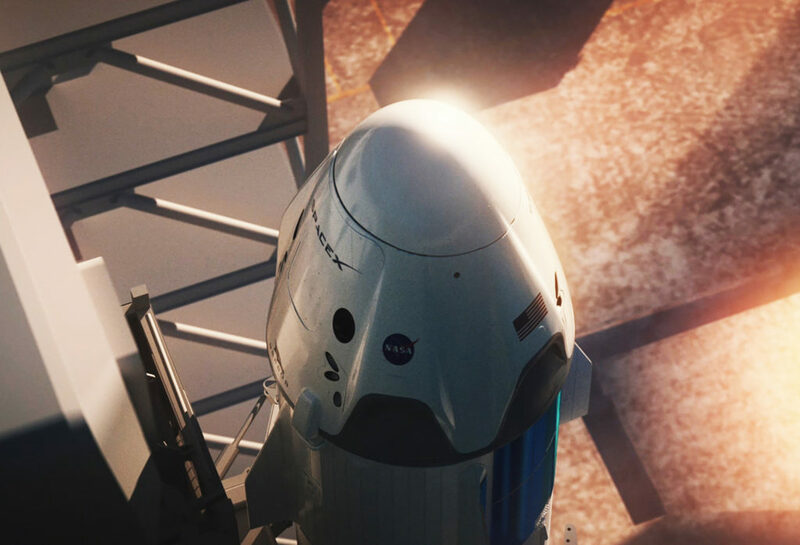 NASA selected Sierra Nevada Corporation, along with Orbital ATK and SpaceX, for the agency’s second commercial resupply contracts to deliver critical science, research and technology demonstrations to the International Space Station from 2019 to 2024. For the free flight test, a Columbia Helicopters model 234-UT heavy-lift helicopter carried aloft an uncrewed Dream Chaser test article, suspended at the end of a cable. The lifting-body, winged spacecraft had all the same outer mold line specifications as a flight-ready vehicle. A lifting body is a fixed-wing aircraft or spacecraft shaped so that the vehicle body itself produces lift. After release, Dream Chaser glided on its own and landed in a manner similar to NASA’s space shuttles. For the complete story on Dream Chaser’s first free flight, read the full article at: https://go.nasa.gov/2huQdVo .